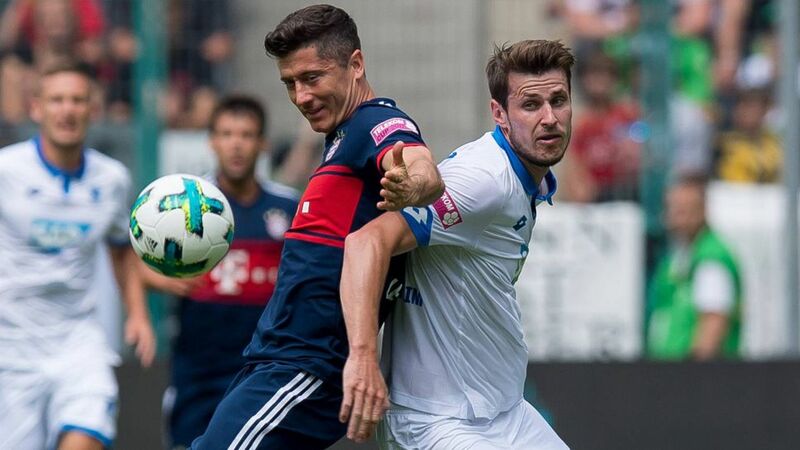 Hoffenheim's Havard Nordtveit (l.) is hoping to keep the Bundesliga's best attackers at bay this season. Check out who has gone where in our Bundesliga Transfer Centre! Settling into life at his new club following his June move to the Sinsheim club from West Ham United, the Norway international has had time to reflect on a season in London, where he made 21 appearances in all competitions. "The Premier League is very big in Scandinavia; I always wanted to play there, and now I've tried it,” Nordtveit explained. “But when you have the chance to play in the Bundesliga, you play in the Bundesliga!" Read: How Hoffenheim might line up in 2017/18! The 27-year-old scored ten goals in 126 Bundesliga games for Borussia Mönchengladbach between 2011 and 2016, forming part of a Foals side that rose to feature in the Europa League and Champions League in successive seasons. Capped 32 times by Norway, Nordtveit’s experience will be crucial to a Hoffenheim team shorn of the Bayern Munich-bound defender Niklas Süle and defensive midfielder Sebastian Rudy. “I know the Bundesliga very well from my years in Mönchengladbach and I'm certain I can make the impact that Hoffenheim are hoping for,” Nordtveit explained. Watch: Behind the scenes at Hoffenheim's media day! “He’s a very personable guy,” Naglesmann said of the summer recruit. "He has the characteristics to play as a centre-back in a three or a four-man defence, but he can also play as a holding midfielder to a high level,” the coach continued. "We've found someone who gives us plenty more options." A keen fisherman in his spare time, Nordtveit will be hoping to help Hoffenheim reel in a prestigious Champions League group stage berth, with last season’s fourth-place Bundesliga finishers scheduled to feature in a two-legged play-off in August. Amid the fanfare of that occasion, Hoffenhiem kick-off their 2017/18 Bundesliga campaign with a home encounter against Werder Bremen, when Nordtveit will no doubt be revelling in the Rhein-Neckar Arena ambience. “I’ve tried the Premier League, but the atmosphere in the Bundesliga is better,” the Scandinavian concluded. Click here for more Hoffenheim news & features!